Alice Vacek Aranda’s professional interests are exemplified in her firm’s practice areas and have deep roots in her past before she became a, attorney. Alice was born in southern Europe. Her father escaped from a Communist regime. When Alice immigrated to the United States, it was her third cultural adjustment. She knows well the difficult challenges that assimilation presents. Drawn to the study of foreign cultures, Alice decided to pursue a graduate degree in History, focusing on Latin America, with minors in the Caribbean and Africa. She learned about the political and socio-economic histories of these nations, and travelled through Colombia, Ecuador, Peru, Jamaica and Mexico City. When she graduated with a Master’s degree in History, Mexico was about to default on its debt. It was a bad time to get a job related to Latin America. By then, Alice was living in Washington D.C. and she landed a job in the library of one of the most prestigious law firms in D.C. After that, she worked in litigation support on many intriguing complex matters and while pursuing a paralegal certificate at Georgetown University. The terrible injustices resulting from the wars in Central America during the 1980s led her to also volunteer at a D.C. non-profit, helping people with asylum applications. Her intellectual curiosity always pushed her toward higher goals and finally she decided to take the plunge and go to law school. She established a home with her now husband near the Otay Mesa border in San Diego and started school at California Western School of Law. Following her intellectual curiosity, she focused much of her studies on international trade and business. Along the way, Alice learned the importance of making lemonade out of lemons. When she graduated and passed the bar the real estate market was crashing and the financial markets froze. Since law firms were not hiring, Alice decided to hang out her own shingle, focusing on bankruptcy. Today, Alice enjoys having her own law firm, and her practice areas reflect her interests. Immigration runs deep in her family history, so this is the firm’s main practice area. She works with many asylees fleeing persecution. She helps reunite families separated by borders. She helps deserving people apply for citizenship. And she assists those who want to invest in America and create jobs for US workers. During the crash of the real estate market, she developed a strong interest in bankruptcy and helping people crushed by insurmountable debt gain a fresh start. Last but not least, Alice has a green thumb and she enjoys making this grow. This is reflected in her interest in business formation and business transactional law, assisting business owners grow their companies. 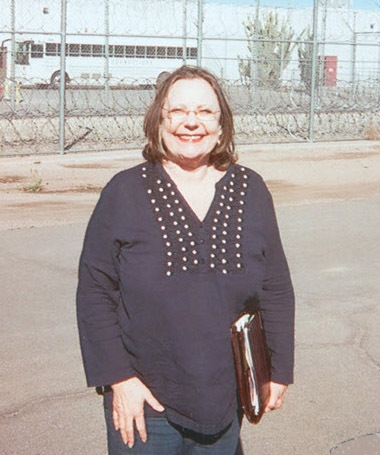 Alice is a bankruptcy and immigration attorney in Phoenix that loves what she does. This is reflected by providing each and every prospective client with something of value that they can take with them. It is reflected in her commitment to each client to find a creative solution to their problems. If you want a dedicated lawyer determined to achieve the best possible results for you, give the Law Offices of Alice Vacek Aranda PLLC a call.